We have included this section because, frankly, we believe that health does matter! 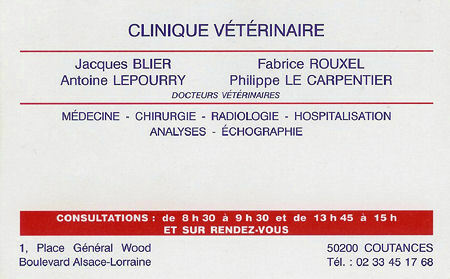 In the unlikely event that a guest should become ill or give us cause for concern during their vacation, we shall immediately consult Docteur Jacques Blier (our usual veterinary surgeon) or one of his colleagues at their practice in nearby Coutances. Clients will be asked to cover the expense of such consultations at cost. Should your preference be that your own veterinary surgeon be consulted, we will be happy to do so (if circumstance permits) on the same basis. We stress that we must know about any recent or ongoing sickness, surgery, or medication (this includes seasons or whelping). Unless contagious, this will not prevent a guest staying with us. But it is vital, and to everyone’s benefit, that we know. * We expect all guests to have a current rabies certificate (or pet passport entry in the case of UK guests). 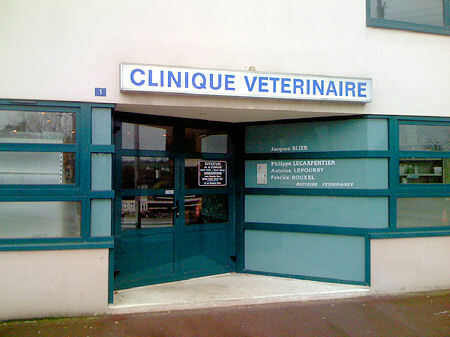 However, we are aware that DSV (Veterinary Service) regulations have recently been changed in France, and unless a pet is arriving from abroad (or certain departments), a yearly rabies cert is no longer a legal requirement. Indeed some veterinary surgeons (although not our own) are advising against routine vaccination. We have little choice but to respect this professional view. If a guest falls into this category please talk to us before making a booking. We are required by our licensing authority to have health documents for each guest here for their perusal during inspections. Please bring with you your pet’s passport, or "Carnet de Santé" & rabies certificate, which we will hold on the guest’s file and return to you at the end of their stay.